Travel the world on a balloon. Pchan3′s Airship 1.7.2 and 1.7.10 is a mod that was created long ago, however it stopped being updated, but now we can enjoy it again, thanks to a modder who has taken up the project to bring it to this version of Minecraft. 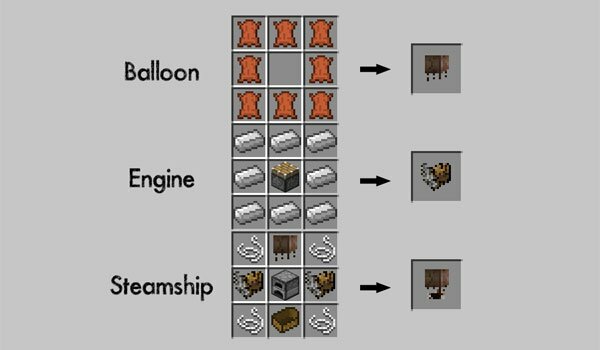 These balloons are made from “pieces”, one is the balloon in itself and the other is the engine that allows us to take off into the sky of Minecraft. How to install Pchan3′s Airship Mod for Minecraft 1.7.2 and 1.7.10? 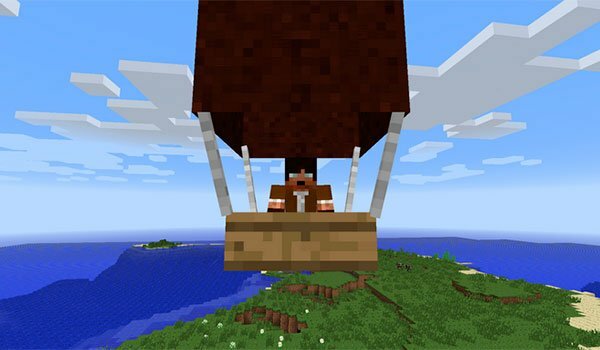 Start flying with ballons in Minecraft!